I woke up really stiff from my previous evening's massage on my second full day in Bangkok. I decided to check out the river and see what that was all about. Apparently there were boats that go up and down the different piers all day, and that's about all I knew. I took the BTS Skytrain, which I really love. Bangkok has an underground metro too, but I never took it. Being high up with sights of the city was so great on the Skytrain. 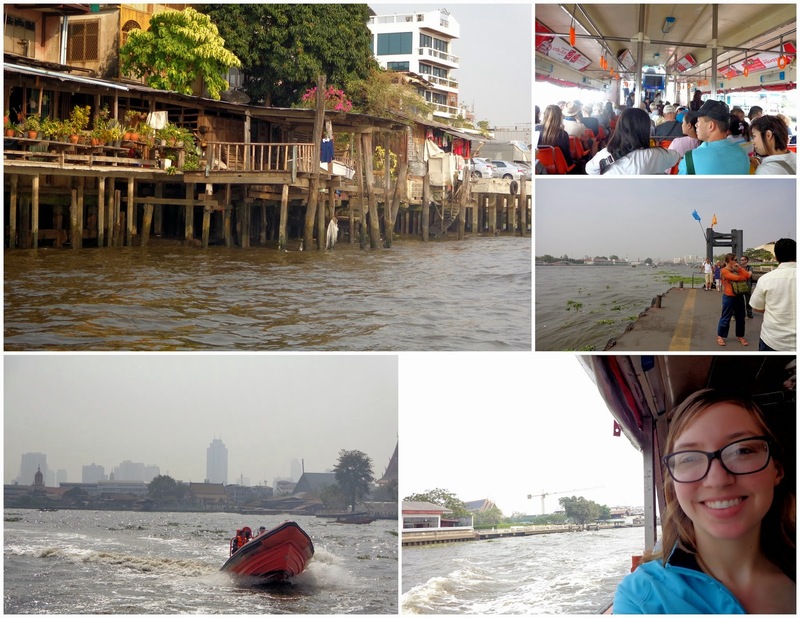 I bought a one-day pass for 150 baht (~$5 USD) so I could get off and on the Chao Phraya boat as I pleased throughout the day. That way I could explore areas by foot, and then go to a new area via boat. There was no Skytrain in this part of the city, so the best way for me as a foreigner was actually to use the boats like public transportation (as opposed to local buses that I did not want to figure out). The first pier I jumped off at was Pier 8, Tha Tien, where I could see Wat Pho. I learned of this in the mini guide book that came with my day pass; no previous research done! It's exciting to go to sites having no idea what you'll find. As I left the pier and walked towards Wat Pho, I passed a dry-fish market on the street. It smelled like fish, as you might expect, and there were lots of flies happily buzzing around the uncovered food. 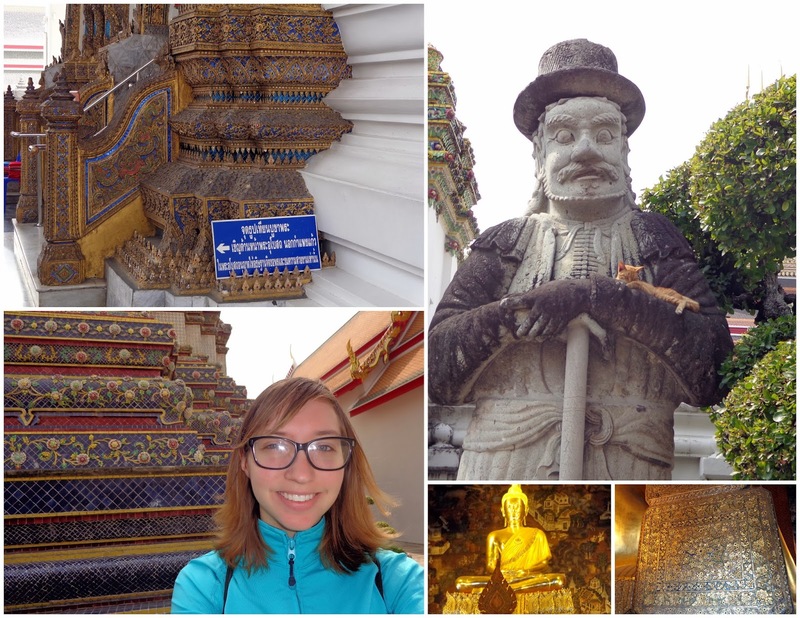 I quickly learned that Wat Pho is the Temple of the Reclining Buddha, and considered the birthplace of Thai massage. Entrance fee was 100 baht and you had to have exact change. If you're new to temples or the Eastern world, know that shoes will have to come off in certain rooms/areas. 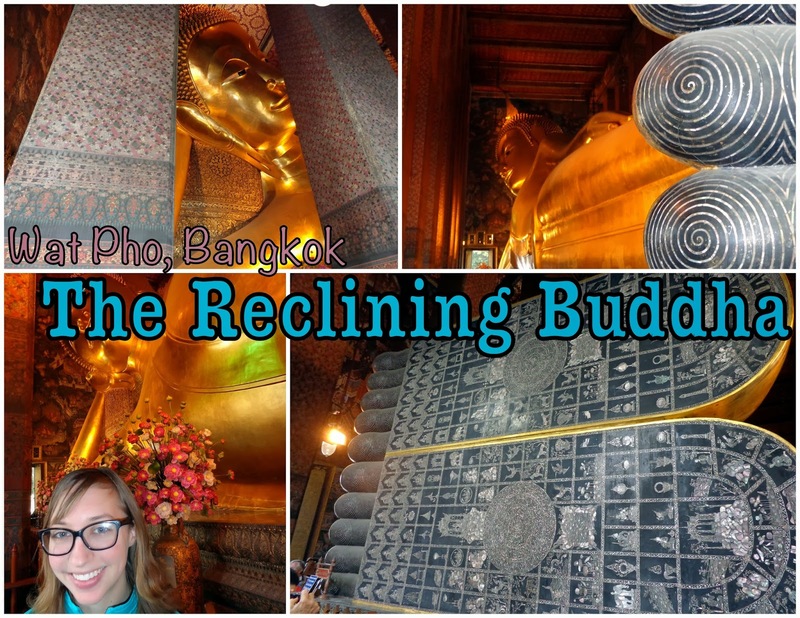 I read later that the reclining buddha is not sleeping as many think, but rather experiencing the state of nirvana. I walked back to the pier for lunch, even though I knew eating at the pier was touristy and overpriced. 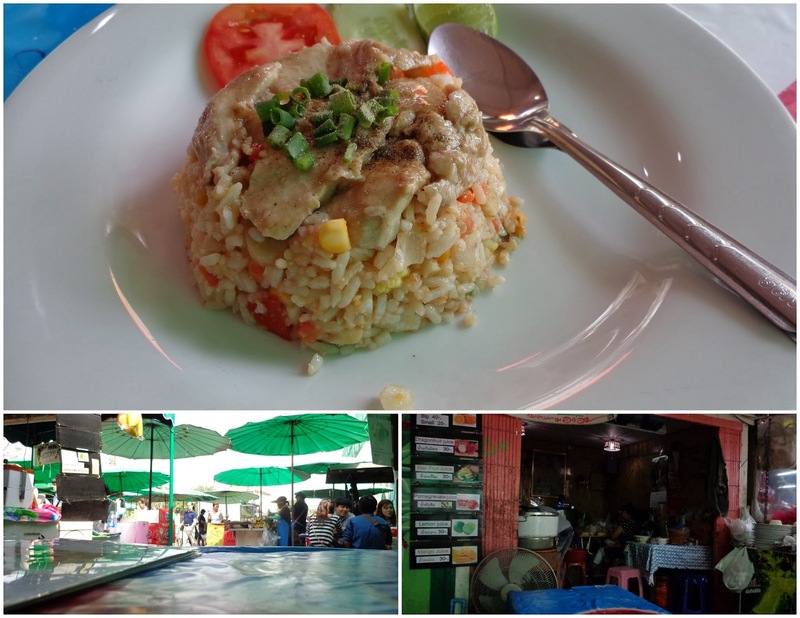 It was near, easy, and would be delicious - all important factors when one is hungry and does not want to spend lots of time walking around hunting for a place to eat. Also, note that "overpriced" in this situation means 60 baht ($1.83) instead of 30 baht ($0.91), so I was very willing to pay the price. I took my time and read again while I ate my chicken fried rice. 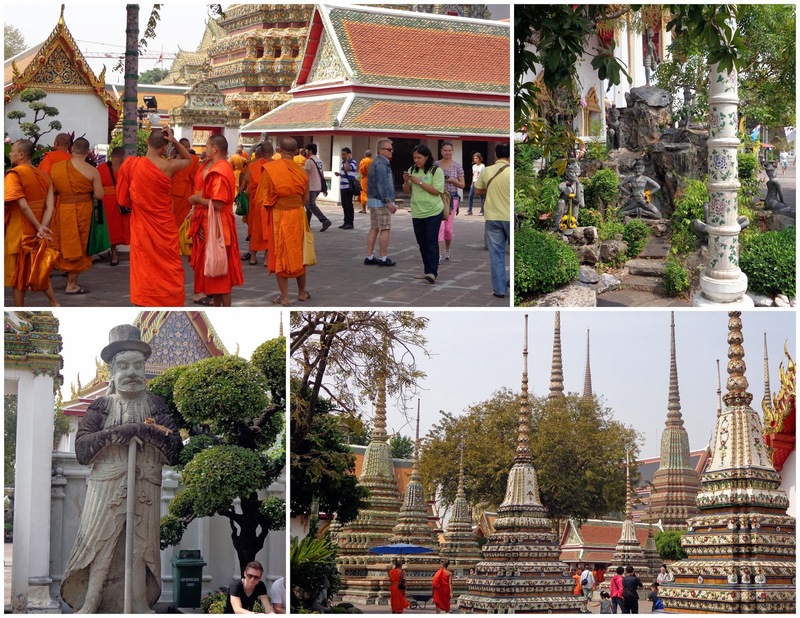 Then I got back on a passing Chao Phraya boat and road up to Pier 13: Phra Arthit. 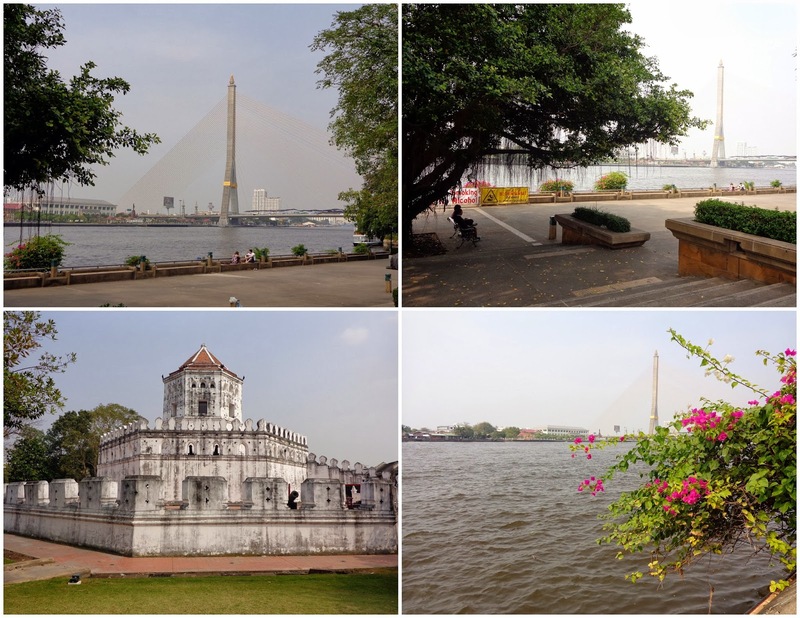 I knew this was the area where I could find the famous Khao San Road, but I walked a little ways from the pier and stumbled upon a great riverside park, so I sat on a park bench and read. 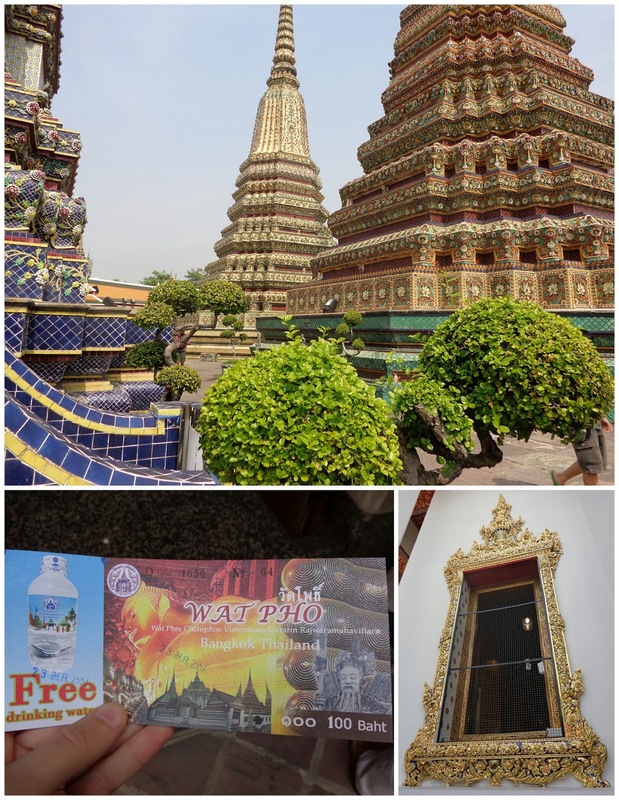 Later I found out that I had been in Santiphap Park, and that the white structure pictured above is the Phra Sumen Fort. 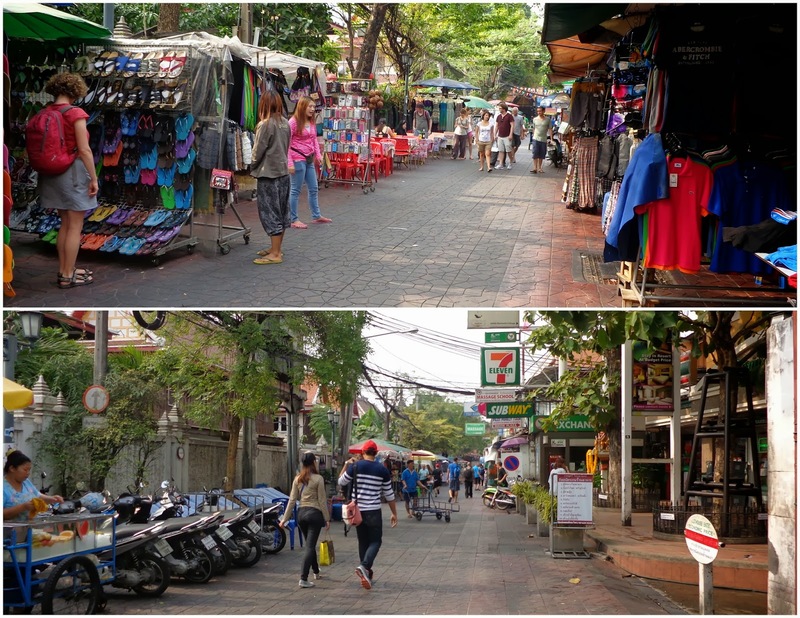 Then I walked around the area for a while, not sure if I ever hit Khao San Road or not, but there was still lots of street shopping to browse. And then I made my way back to the hostel (river boat, and then skytrain) where I attempted to take an evening nap. Later I got some food from the food street (chicken soup and two meat sticks) and ate back at the hostel, hanging out in the living room until I went to bed.